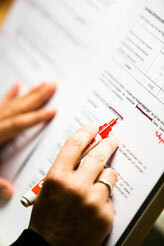 Editing and Proofreading - hartmann-uebersetzungens Webseite! In addition to translation, I offer editing and proofreading of German texts, either original or translated. I check texts already translated into German for completeness and contextual correctness as well as for spelling and grammar. The revision of original German language texts includes review and correction with regards to spelling, grammar, punctuation and stylistic aspects.